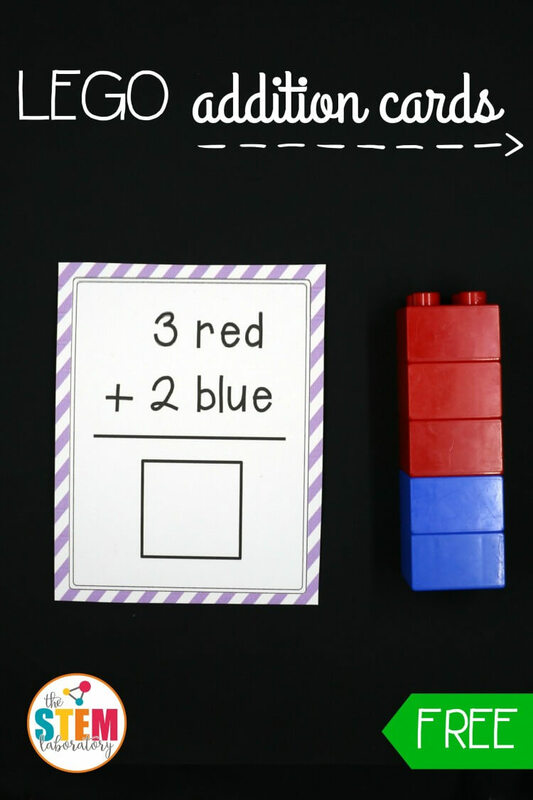 LEGOS are such a motivating way to teach kids math! 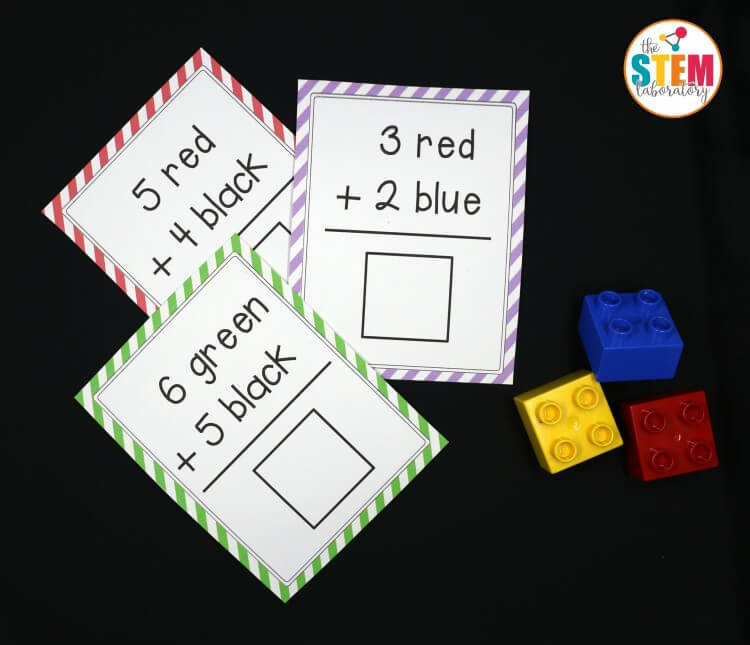 These fun-filled addition cards take learning to a whole new level of cool by helping kids see how two sets of LEGOS can be added together to make one sum. 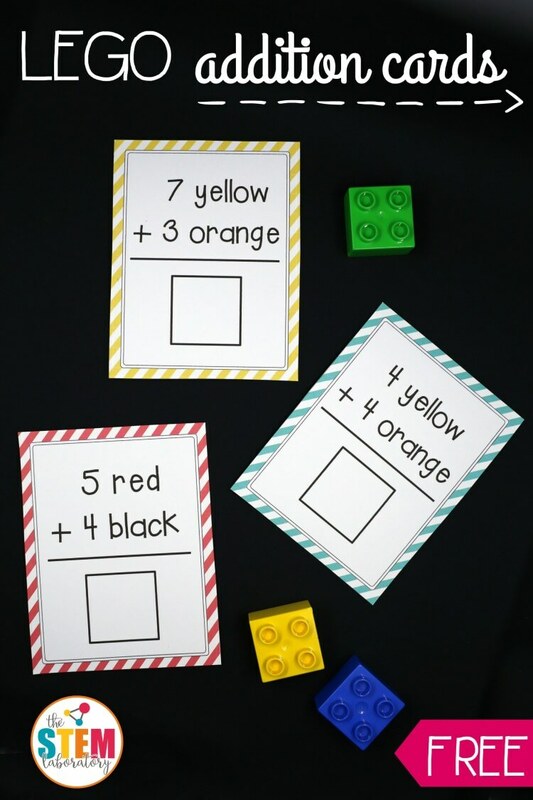 The LEGO addition cards are great to use as a math center, building station or homeschool activity. 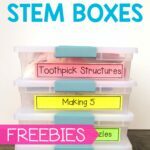 They’re easy prep and super entertaining! To prep, I printed the addition cards on cardstock to give them extra durability. Then I cut along the dotted lines to separate the pieces. I grabbed our bin of LEGOS and a marker and invited Big Brother (age 6) to join me. 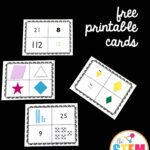 Note: If you’ll be using the cards in a classroom, you may want to laminate the cards and have kids write their answers with a dry erase marker so that they can easily be wiped clean and used again. He began eagerly digging through the LEGOS to find the right number of yellows and oranges. 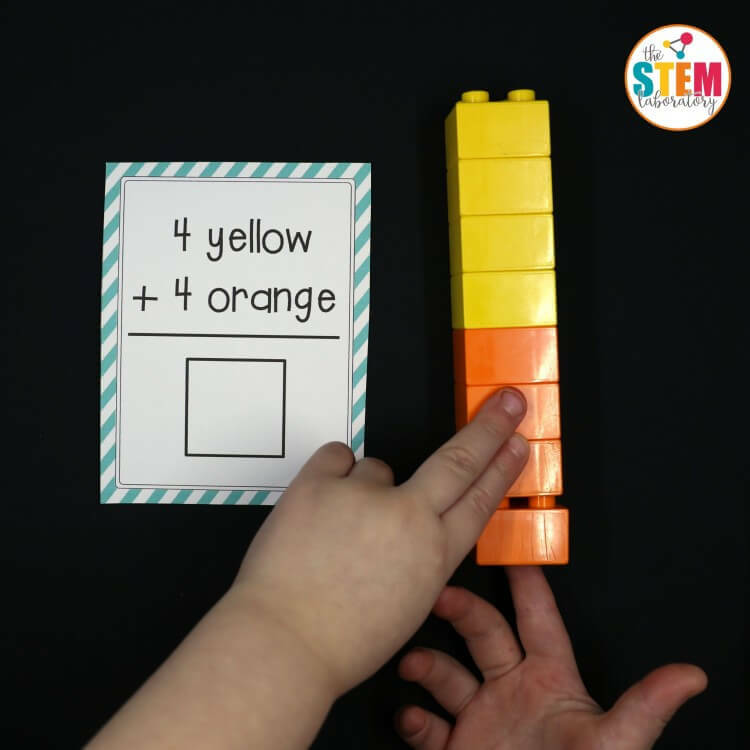 He built a tower of four yellows on top and then added on a stack of four oranges to match the equation. “That’s eight all together!” he announced proudly. He grabbed his marker and wrote 8 in the empty box. Solving one card after another, Big Brother worked his way through the stack. Middle Brother (age 4) even joined in the fun when I read the problems out loud to him. Ready to play?! 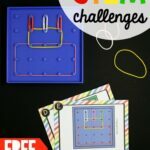 Click the blue button below to download your free set of LEGO addition cards and then hop over and grab a batch of LEGO challenge cards too! 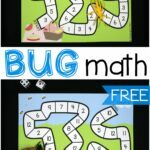 This looks like a really fun way to reinforce simple addition. 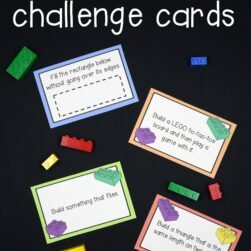 I love the use of the Legos as manipulatives and the cards are cute too. 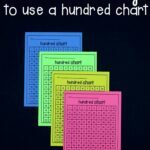 This seems a lot more fun then flashcards or worksheets. Thank you so much! Hooray, Deborah!! I’m thrilled the LEGO addition cards will come in handy. Enjoy!